Become a superhero this summer! Or maybe a scientist? Dancer? Artist? Athlete? Photographer? Find your adventure camp at the Club! 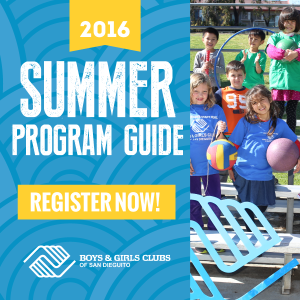 Browse our Camp Guide to find the right camp for you and get ready for the best summer ever! please click the “MORE SUMMER OPTIONS” tab below. School’s out, Clubs are in! Our Summer Adventure Camps program allows campers ages 5-15 to experience a fun filled, active summer in a safe environment with skilled staff to ensure a rewarding summer camp experience. 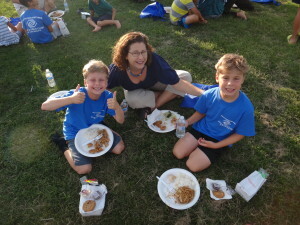 We offer flexible and affordable camp options: Summer Adventure Day Camps and/or the Summer Specialty Adventure Camps. Join us and play awesome games, make memories with new friends, and have have a blast on field trips! 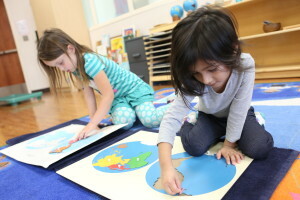 Each camp day Campers will participate in a variety of fun and engaging activities from our 4 core areas Arts & Crafts, Sports, Games, and Computers. Our staff is here to ensure your camper is having the ultimate summer camp experience and to help create memories that will last a lifetime. Our staff is CPR and first-aid certified, as well as drug-tested and background-checked. Each staff member is selected for his/her experience, expertise, and enthusiasm. These individuals are excited about the opportunity to teach our campers how to succeed in their activities. Registration is 100% online for Summer Adventure Camps. With our registration program you can also access your campers information, make any necessary changes to your campers profile, add camps, and view or print statements when needed. *Camp fees must be paid at time of registration in order to secure your spot in a particular camp. After enrollment for any Adventure Camp you will receive our “Parent Information Packet” with everything you need to know. The camp package includes all camp activities at the camp site, a camp t-shirt, and Basic Field Trips. All other activities may be added a la carte. Please see page 8 of the summer brochure for more details. *Early Drop Off/Late Pick Up Program available. Please see page 7 of the summer brochure for more details. The L.I.T. 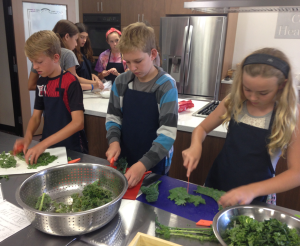 program gives our older members an opportunity to participate in our camps program in a more helpful role. What’s great about our L.I.T. program is not only do our members get the chance to work with campers and share their passion and interests, but they also get the hands on experience of working side by side our wonderful team of staff. All of our L.I.T.’s also have the opportunity to use their L.I.T. hours 9:00am-3:00pm as community service hours to fulfill any graduation requirements. Program Fee: $105 per 5 days during our Summer Adventure Camps season which runs June 13-August 25. To Apply: Fill out the L.I.T. application and email it to the Camp Director, Candace Calero at cgerlach@bgcsandieguito.org. Candidates will be contacted to set up an interview with a Summer Camps Site Supervisor. All candidates must be interviewed and accepted into the L.I.T. program prior to registering. *L.I.T. candidates may request a camp location/specialty camp to participate at. Requests must be approved by Camp Director prior to participation Transportation is not provided and hours of operation may vary by location. Have questions about Summer Adventure Camps? Need help planning your campers summer? Need assistance with registration? Join us for Summer Adventure Camps Q & A! 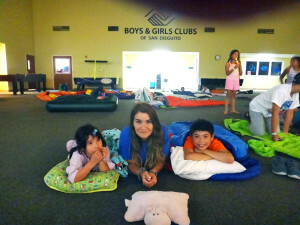 Sleep over at the Boys & Girls Clubs of San Dieguito Polster Branch! Here is your chance to stay after hours with all of your friends! Campers will have a blast playing games like flashlight tag, swimming at the local pool, watching movies, and creating fun art projects. This will be a night to remember! Campers attending the Summer Sleepover will be brought to the Polster Branch after 3:30pm on Friday July 15, 2015. Campers need to be picked up at the Polster Branch on Saturday morning by 9:00am. Dinner, snacks, and breakfast are included. Additional sleepover information will be provided after registration. END OF SUMMER FAMILY FUN NIGHT! Located at the Polster Branch. To close out the summer camp season, ALL campers are invited to bring their friends and family for an evening of festivities and fun compliments of the Boys & Girls Clubs of San Dieguito. Food, bounces houses, face painting, games, SWAG Bags, and FUN! Please contact Camp Office for more information. *All free items are offered on a first come first served basis. Early Drop Off/Late Pick Up Program is included in the Adventure Day Camps option at no additional cost. Campers participating in Adventure Day Camps may be dropped off as early as 7:30am and can be picked up no later than 6:00pm. Camp instruction time is from 9:00am-3:00pm each day. There is no transportation provided to other camp locations for Adv. Day Camps. EarlyDrop Off/Late Pick Up Program option is available if your camper needs to be dropped off before 8:45am or picked up after 3:00pm (3:30pm for Jr. Adventure Camps). *Transportation to another camp location is available. Please read the Transportation information below. 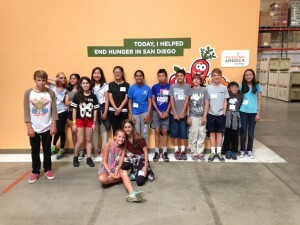 Del Mar Branch – If you have a camper attending a Specialty Camp at the Del Mar Branch and you need to drop your camper off early and/or pick them up after their camp ends, or need them to be transported to Del Mar, please register for the Early/Late Program option and also select the Transportation option. If you sign up for a Specialty/Sports/Jr. Adv./Teen Camp and select the Early Drop Off/Late Pick Up Program option, transportation between Branches is available at no additional cost. Campers select a home location; Harper Branch, Griset Branch, or Polster Branch, and each day your camper will be transported by Boys & Girls Club vans from their home location to his/her specialty camp location. Campers must arrive to their home location by 8:15am to be placed on a van, and they will return to their home location after 3:30pm each day. *YOU MUST BE SIGNED UP FOR EARLY/LATE PROGRAM TO UTILIZE THE FREE TRANSPORTATION OPTION. *If you do not need the Early/Late Program option your camper may be dropped off no earlier than 8:45am and picked up promptly at the conclusion of their camp. There is a late fee that will be charged if your camper is not picked up on time. Please see Parent Information Packet for more information. No summer camp program is complete without a field trip. 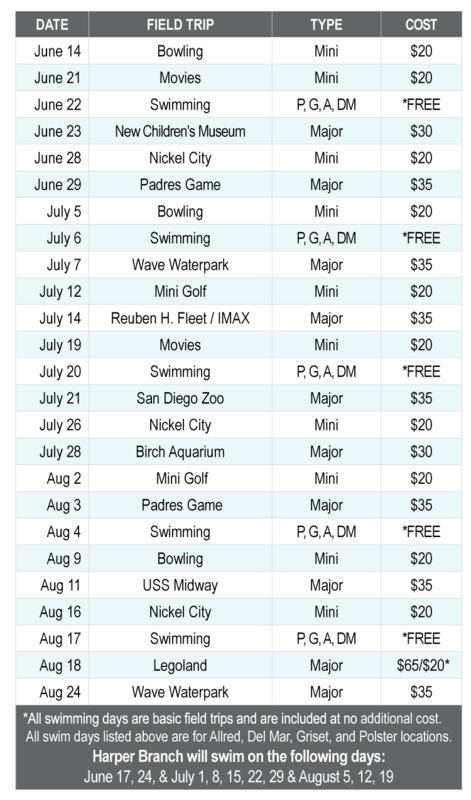 We offer a variety of field trip options, from swimming and bowling to local amusement parks to help round out a fun and rewarding summer. Field trip options vary per camp program. Campers who choose not to attend a field trip will participate in additional camp activities. Campers will have the option to spend the afternoon at the swimming pool. Swim trips are included in the camp fee. Due to limited transportation space, Griset Campers are on a first come first served basis. Campers have the option of participating in a mini-field trip during the afternoon. These excursions include miniature golf, bowling, Nickel City, and the movies for $20 each. Mini Field Trips take place during camp programming time between 9:00am-3:00pm. Major Field Trips are all day excursions and campers will return to camp between 4:00-5:00pm unless otherwise stated. There are no refunds/credits for missed field trips. In order to staff appropriately, we ask that you sign up for field trips at least 24 hours in advance. Don’t forget to wear your BGC t-shirt! For safety reasons campers must wear Boys & Girls Club t-shirts when attending field trips. If your child does not have one on field trip day, one will be provided and a $5 fee will be charged to your campers account. Campers may bring a healthy sack lunch from home or purchase a lunch from Come On In! Café. 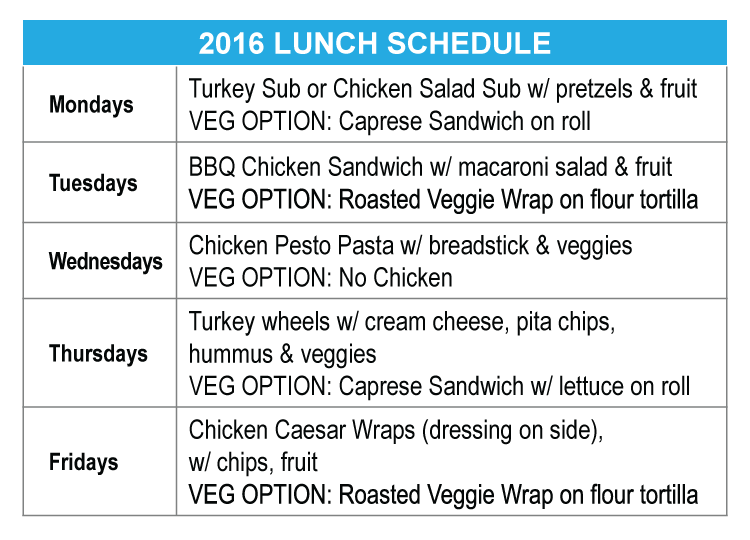 Lunches cost $6 and include a beverage and fruit/vegetable. All orders must be received through the online system by 1pm the day prior. Click on REGISTER, enter the school password BGC2016 to sign up and access the Summer Adventure Camps lunch information. *Summer Adv. Camps is not responsible for ordering or processing refunds for lunches purchased through Come On In! Cafe. All communication must be handled directly through Come On In! Café. Have a hungry camper? For an additional fee you have the option to add on additional food items for your camper if the regular lunch size is not enough. Please visit the daily menu to see price and add-ons available for that day. *Please do not purchase lunch on days your camper will be attending a Major Field Trip. Your child will need to bring a sack lunch or lunch money if they attend Major Field Trips. Dive in to the pool this summer! Learn to swim or improve your skills in a group or private swim lesson. serving as a fun introduction to the world of competitive swimming. cook with fresh ingredients in the kitchen and learn new skills on the computer. The Center For a Healthy Lifestyle is waiting for you! Ever dreamed of being in a rock band? Or how about a jazz band? Maybe you love to dance or act instead! 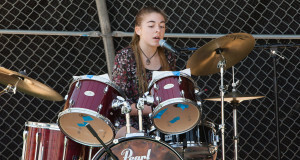 Join us at the Youth Arts Academy this summer! Do you have a child between the ages of 18 months to 6 years old? and nurture their desire to explore! Dribble! Pass! Shoot! Do you want to improve your basketball skills? Or join a sports team? 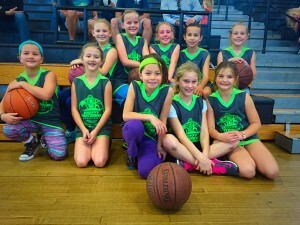 The Club has a variety of sport programs and teams to choose from and is also home to Big 8 Middle School Sports. We have athletic programs to suit all boys & girls!